UK Stampin' Up! 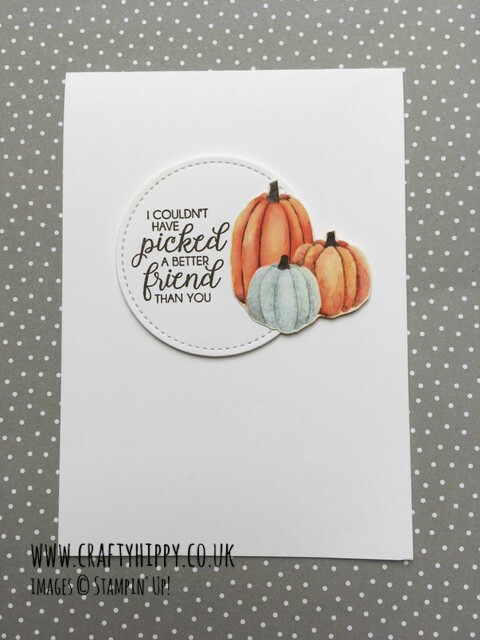 Demonstrator | make beautiful cards | Crafty Hippy: Fussy cut the Painted Autumn Designer Series Paper from Stampin' Up! Fussy cut the Painted Autumn Designer Series Paper from Stampin' Up! There's no better way to tell a friend how amazing they are by sending a beautiful handmade card. This lovely sentiment is from the Beautiful Bouquet stamp set which I have been using a lot recently. It has a number of sentiments which can be used for just about any occasion - anniversary, weddings, birthdays are all covered. You can see what you can achieve with the flower stamps by taking a look at the project I posted yesterday. I made a bit of a mistake when I bought this stamp set because it actually co-ordinates with some dies ~ available together as a Bundle, saving 10% ~ but I have got on fine without them so far. 1. Cut your card base out of some Whisper White Cardstock. Put another piece aside. 2. Cut out the circle using the Stitched Shapes Framelits Dies using the Big Shot. 4. 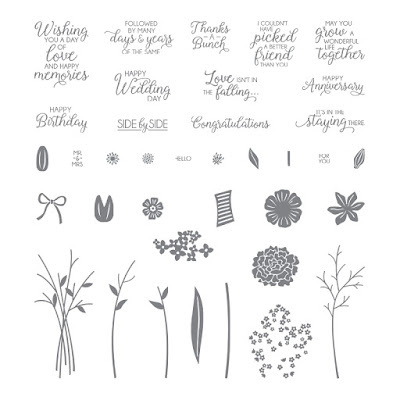 Stamp your sentiment using Beautiful Bouquet and some Early Espresso ink. 5. Assemble your project using Snail and Stampin' Dimensionals. I love the versatility of both the Painted Autumn DSP and the Beautiful Bouquet stamp set. I have used these a lot recently and are definitely well worth adding to your craft stash. This project is being sent to its recipient today. I'd love to see the cards you send your friends, please feel free to submit pictures of your creations!